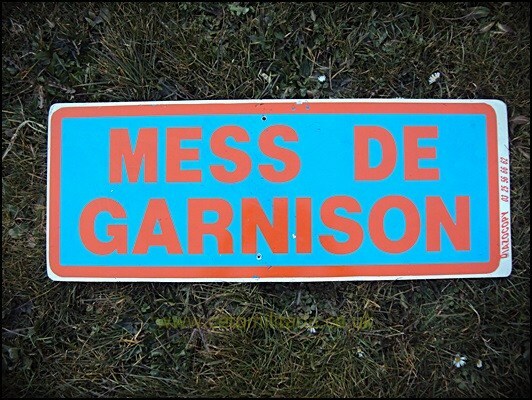 For sale, a wooden sign, blue with red "Mess De Garnison" (Garrison Mess) on. French. Bring back from Afghanistan. Size 23"x9".